Keep up with celebrity chit chat, whilst you get lost in the music of your choice. With Freegal you can stream and download the latest hits by The Veronicas, Justin Timberlake, Robbie Williams, Delta Goodrem, Ryan Adams, Kylie Minogue and many more. - it’s free and legal! You just need to login to access content and play samples. Download and keep 3 songs per week, or one song and one video clip. Stream live up to 3 hours per day, so sample the songs before you download. Choose from thousands of artists and hundreds of thousands of songs, all free and legally yours to keep. These files do not expire. They are free of DRM and can be transferred to iPods and MP3 players or burnt to CD. Then, use Zinio digital magazines, to catch up on the best celebrity news. Download the latest issues of Rolling Stone, OK Magazine, Hello! Magazine, Total Film, TV Soap magazine and more. Read them at your leisure on any device: PC, Mac, iPad or Android. Previous issues may also be available. 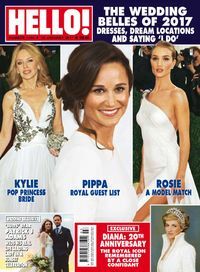 Sutherland Shire Library has partnered with RB Digital to provide access to a collection of over 100 magazine titles that library members can download for FREE. Once downloaded they are yours to keep. There are no time constraints, keep them as long as you like. Use your library membership to check them out today.